There’s more flashlights available than one person could ever hope to test, and that’s why we’re giving you this simple 9 point survival flashlight checklist. Many flashlights on the market today are hardly worth the material they’re made out of, and definitely aren’t reliable enough to depend on during an emergency. Now you can use these 9 points to skip the bad ones and pick only the flashlight that’s perfect for you. Any survival flashlight you buy should have multiple brightness options regardless of what you plan on using it for. The reason is simple: When you’re in pitch darkness and your eyes have adjusted to the dark, it’s murder on your eyes to suddenly have a flashlight shining at full power. A flashlight with multiple settings will have a lower power mode that isn’t as bright, so your eyes can adjust gradually. It’s also great for searching for things at night without waking up other people. Some flashlights come with even fancier options like flashing SOS lights. Those are nice to have as an extra bonus, but they aren’t necessary. LED bulbs in flashlights are much more common today than when they were first gaining popularity in the early 2000’s. Though you still need to watch out because some manufacturers still use incandescent bulbs in their flashlights. The reason for choosing LED’s is threefold. LED’s are brighter, save energy and thus increase battery life, and are more durable than incandescent bulbs. Those differences might not make much difference to the typical person who just needs to light up a room once in awhile, but to a prepper they become much more serious. Brighter light means you can quickly find your path without straining your eyes, and extended battery life means you don’t need to swap batteries or recharge nearly as often. Tougher bulbs mean they won’t break with rough treatment that tends to happen during emergencies. Weatherproofing is specified with something called an IP code. The quick explanation is that the IP code starts with the letters “IP” followed by a short series of numbers that specify what conditions it can withstand. The first digit is for solid intrusion, the second is for liquid protection, and the third is for mechanical impact resistance. If it’s not rated for something, it will use the character “X” instead of a number. For example, the code IPX7 means it hasn’t been rated for solid intrusion, but has a liquid protection rating of 7. For most preppers a liquid protection of IPX7 should be plenty. IPX7 is waterproof in under 1 meter of water. Those who live by a lake, river, or ocean may want IPX8 which will protect it in even deeper depths. You’ve probably seen flashlights with the power button on the side, and some with the power button on the end of the flashlight. There are two reasons to prefer flashlights with power buttons on the end. First, if the button is on the side then you could accidentally bump it in your pocket and have it turn on. That means it’s wasting precious battery life doing absolutely nothing. Second, with the power button on the end you’ll be able to hold the flashlight in an overhand grip and keep your thumb on the end like how police hold them. This grip gives you a tactical advantage since you can then use the flashlight as a blunt weapon or cross it under your other arm while aiming a pistol. There aren’t any drawbacks to having a flashlight with the button on the end, so it’s an obvious choice to make. Any flashlight you intend to use as a survival tool should either be rechargeable, or use AA batteries. The reason for having a rechargeable battery should be clear. When it inevitably runs out of energy you can recharge it and be good to go. If a rechargeable flashlight isn’t an option, the next best thing is to have one that used AA batteries. 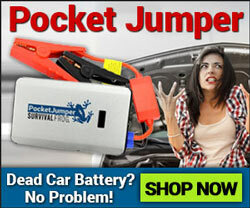 AA batteries are the most common type of battery, and can be found in nearly every household, gas station, and store. If you’re in an emergency situation and you really need batteries, it won’t be hard to find replacements as long as they’re AA. If your flashlight can’t easily fit into your pocket then you’re less likely to carry it with you as an EDC, and if it isn’t with you during an emergency then it’s useless. Therefore, it’s essential that your survival flashlight is small enough for you to comfortably carry with you. For most people, this means it’s small enough to fit inside your pants or coat pocket. You can also have a larger and more powerful flashlight in addition to your pocket sized flashlight, but it shouldn’t be a replacement. Before buying a survival flashlight you should be confident that it’s a quality product that’s worth the price. 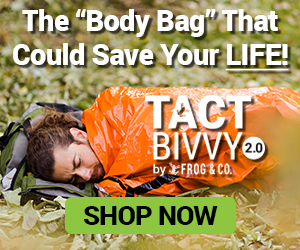 Checking customer reviews can help you find a good one, and buying from a reputable vendor such as Survival Frog ensures you’re getting a quality product. We only carry quality gear that we’ve tested and believe in. Click this link to see our selection of quality tactical survival flashlights. Many manufacturers don’t give specific details on the flashlight housing, though most will either be some sort of plastic or Aluminum. They use those materials because they’re cheaper to produce while also being fairly durable. Metal is better than plastic for flashlights, and even better if the material is considered “tactical” since it’ll hold up better against corrosion. Flashlights with a USB connection make it easier to recharge. Plain and simple. Nearly everything nowadays has a USB port so there shouldn’t be any problem finding a way to recharge your depleted flashlight. 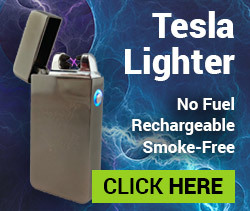 Without a USB connection you’d be forced to carry around a special cable just for your flashlight, and good luck recharging if you ever lose that cable. USB cables are standardized, so it doesn’t matter which one you use. If you lose your original USB cable you can just use another one, no problem. It might not be possible to fulfill all of these points depending on your budget, but if you follow as many of these points as possible you’ll have a survival flashlight that won’t let you down. If you’re still a little overwhelmed by all this information, here is my personal flashlight recommendation to you. Click here to see it for yourself. This entry was posted in Emergency Preparedness, Prepping, Survival Checklists, Uncategorized and tagged checklists, flashlights, tactical flashlight on October 11, 2017 by Survival Frog.